There is an image now of global phenomena that has been accompanied by pictures, albeit momentary, of things to come. It is my intention this year with my You Tube and also possibly duplicated on my Explorer Race blog to produce predictions with the help of Conscious Goddess Production (who help me with the video) that will offer predictions of value and that can be acted upon sooner than the ones I was able to produce for this year. It will take a little while to produce them but I hope to have them up within a month or two at the latest. I'm mentioning it here and now because the images I'm receiving on an inspired level seem to be coming in globally and I am hopeful that I will be able to share information about these things with you before too long. Have you noticed? For a long time you might have seen and noticed how much people are being desensitized to the traumas and discomforts of others but now that has changed. Mother Earth is taking care of herself and she must do this. I have spoken here many times about how we must take over many of the things Mother Earth has done for us, for example here and also here but now as I say things have changed. We are now being sensitized, not desensitized. Some of you will have noticed this. Things that didn't use to bother you hardly at all are agitating you in situations at the office, maybe at home. You get mad without much stimulation. Things upset you. This does not mean that you're going crazy though you might feel that way. In fact it means that what you have suppressed, what you have decided was insolvable in your life is now coming up to the surface to be solved or at least acted upon in some benevolent way so that your body recognizes that you - your mind and your total personality - are prepared to do something to improve the quality of your life even if it's only a step. This desensitization that we've all deplored quite a bit in the past, people laughing at other peoples misery and so on or trying to find a joke in it and even sometimes trying to find a joke in ones own misery, has made for a lot of temporarily amusing moments but in the long run it has made for a lot of discomfort and a lot of yes - misery and it has also caused people to become very cynical because they expect less and less and less out of their life - but now as everyone is being sensitized to their own situation - so they will become much more aware of the needs of others because others will be speaking up just as you may be speaking up now. If not in words then in actions. So here's the key. It's not about his fault, it's not about her fault, it's not about their fault though it may very well seem that way because of compromises you've been making in declaring your own needs. It's really important now for those of you who care to do so to write down a list of your own needs or to just speak it when you are alone. Nevertheless if you can begin to speak to friends and loved ones about your needs - not making any demands of them, not providing any commands towards them and to give them permission to speak about their needs as well and to keep these things in a conscious discussion and to try to help each other to meet your needs - things will get better. Mother Earth is sensitive now to her own needs. We are made up of Mother Earth and we must become sensitive to ours - not because I say so but because this is what's happening. If we know what's happening we'll be less upset and agitated about it. So - homework. Pick out 3 good friends - alright - or if you're not sure whether you've got 3 good friends then pick out 3 people that you feel pretty good about. First say - I want to give you permission to speak about your needs. They might look at you blankly. Then say - I need to speak about my needs even though you (may or may not) have anything to do with fulfilling them but I need to do this and I need to find some way to act on these needs at least in part to bring about some solution - and I give you permission to do the same. If they don't say much or they encourage you a little bit then speak about your needs to them - alright - and give them permission. The best way to speak your needs is to say what you want, not what you don't want - that is very important. When you speak about what you don't want your body gets confused about what to bring to you or what circumstances to develop in your life so something comes to you. However when you speak exclusively your needs in the form of what you do want then your body will be able to create circumstances and potentials to meet people to bring about possibilities that you may be able to work with to fulfill those needs. Say to your friends - when you want to speak about your needs come to me, I'll be ready to hear it - and share with them this idea of speaking of their needs to 3 people. It really helps and it will help to bring about the action that's needed. That's what I recommend. Remember that all teachers get to the point where they get the feeling they must withdraw. Sometimes this is called - the test of power but there has been confusion about what that means. The test of power does not mean that the teacher is being tested. It means that the students must show that by their interest in the teachings, by their application in practical and benevolent ways of the teachings that they are then prepared to either pick up some of what the teacher has been teaching and teach it themselves or prepare to act on their own inspirations and see if those inspirations will lead to benevolent applications and most importantly benevolent outcomes. Of course along the way of benevolent outcomes one does not always feel benevolent or experience benevolence but if one says that - the discomforts one feels are the price one pays, for example, for that benevolence one can easily fall into the trap that says we must strive for this or that and disregard all the suffering and we miss - then you see - the person misses the fact that the discomfort is meant to deter you from that path. So that is why progress progresses so slowly because you have to feel every bit of the way - is this the best path and if you cannot find a path in any direction that is best or feeling as good as the one you are on in whatever you are pursuing then it is safe to say that one must simply wait. Sometimes waiting gets a person nervous but eventually there will be a means to move on. The best teacher of this is water. You will see sometimes a trickle of water or a stream when perhaps a dry stream is beginning to be replenished and sometimes that water will come along moving rapidly and then get to an area where it cannot move. Perhaps there is some block there, perhaps there is a hole or something then this water fills that up and it waits until it can get over, around, under or through that block but until then it waits but it builds up a certain amount of pressure behind that block. In this way water teaches that the stress it feels is its desire to go to where its going but at the same time while it is waiting it builds up strength in numbers and it creates a certain amount of companionship with its fellow portions and in time it is able to get through, around, above (meaning over) or under that block and move on and in time the block itself will be either worn down by the passage of that water or will simply no longer be a factor. 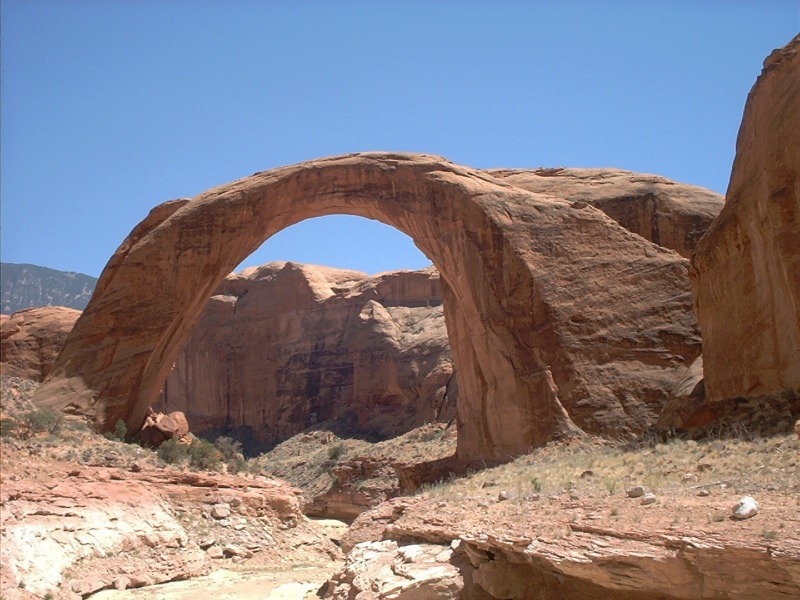 This is seen very often in geology where one sees so called rainbow bridges of stone where there was once a path of water that went under and left that former block of stone in what was left of it as that bridge. So one learns that the pathway of water is often a good teacher. Of course since human beings do not live their entire existence in a natural form - since cultures do not always cater to what is natural for human beings and sometimes things are stated to be natural which are either adaptations to what exists or just as often they are attempts by this group or that group to say that something is natural when in fact there is an agenda at work - so one must always have the opportunity to observe nature. What are the animals doing? If you do not have deer or elk or something like that living around you then what are the little animals doing - the many leggeds. How are they acting? What do they do - but if there is some doubt about what it means to the human being then you can always observe - what is water doing? If you are living in a dry area then you might have to use - what is the wind doing - alright. That will often help. I know it is not always easy to interpret but I will attempt to help. And now a personal note. My father was born in a very tough part of New York city in 1892. He and his sisters scrabbled out their survival in the most difficult of conditions and yet they all managed to get through it all and go on to establish good lives. My father was one of the smartest men I've ever known. He was not quick to offer his point of view but if you asked it he would pause for a moment and consider and then he would speak usually with well chosen words his exact point of view which when considered in total, and it didn't go on for a long time you see, was something that was a statement that was complete. It always had a origin, meaning this is where my opinion came from - if not spoken then the feeling was there, followed by the summation - how he felt about it in total and then there was always the allowance at the end that you could make up your mind for yourself. He didn't usually say that but one of the things I liked about his brief speeches like that is that it was always assumed that you would learn on your own and perhaps come to a similar conclusion. I feel that this influence has helped me in my work today as I am not attached to people learning, being and doing that which I advise. It is more like something that I offer as you might sit down to a table for a picnic lunch. There are several foods there being offered but you are not forced to take any one. Partaking of my father's wisdom in this way has allowed me to offer what I have for you in as humble a way as I am able and to welcome you to my table. Do you know that sometimes we miss the moon. 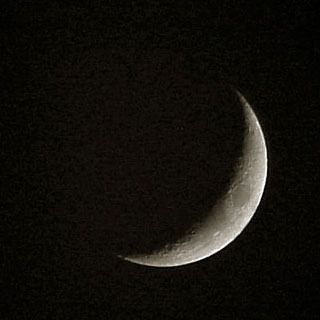 Of course it is in the sky all the time - yes but sometimes as the crescent moon grows smaller and then achieves the new moon and even after it comes out of that for a few days the amount of moonlight that is shed upon the Earth is often not enough to make up for the loss of that feminine energy. I know a great many people believe that the idea that the moon casts feminine energy on the planet is just an idea - a myth, a belief but in my experience and according to what I've been taught the moon does cast a light that is feminine in its nature - and in its style of experience it is nurturing and supportive. An energy not entirely like mother but it supports the energy of mother and it supports the energy of fem. I bring this to your attention because in the absence of much moonlight, towards the new moon and a little bit after the new moon, one might do things that are in essence attempting to compensate for that loss of feminine energy. This is not at all unusual as a time when people crave sweets for example. It is not unusual for people to crave the company of feminine beings, whether you be a man or a woman or a boy or a girl for that matter. Of course one craves the company of feminine beings at all times of the month but you might crave it more so during that time. I am not an astrologer nor do I claim to be one. I have almost no knowledge of the subject but I have noticed the affect of the sun on our planet and the moon on our planet and even some of the nearby planets such as Mars and Venus. All of these heavenly bodies do have an effect in their energy on our planet just as our planet, I believe, has an effect on them. I'm going to give you a suggestion just for fun. This next weekend see if you can notice how the moon effects you. Go out if you can at night and glance at the sky and when you're looking at the moon just start breathing in and out - deep breaths and then relax - 4 or 5 deep breaths is fine and then relax. Then wait a few minutes and do it again. See how you feel. You might just feel more nurtured, more relaxed, more comfortable with yourself and with your whole self in your body, maybe even safer. For those of you who might need extra strength or energy and you're tired, go out during the day. Close your eyes so you don't get affected by the sun but look in the sky where the sun is and take deep breaths - 4 or 5. You might just feel a little more invigorated. If you wish you can wait a few minutes. Again close your eyes and look towards the sun. It doesn't have to be exactly the sun but it has to be close to it so the sunlight is bright, and breathe deeply 4 or 5 times. It might just give you a little extra strength as I said. It's worth a try. Something fun you can do this coming weekend.